This Web-Quest was about Adjectives, the Types of Adjectives and the Degrees of Adjectives. Students were given various tasks to assist them with reinforcement of what they had learnt through the various pictures videos and audios that were used. 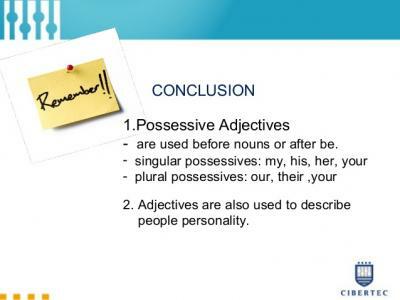 It is imperative that in your daily writing and speech you are able to correctly use the different types of Adjectives and to their correct degrees. That 's it for the Web-Quest. Hope you had fun Learning.